Without a doubt, during this tour we visit the two States where the best food from Mexico comes from: Puebla and Oaxaca. Puebla, famous for the Chiles en Nogada, Mole Poblano and Cemitas among others, is truly an amazing City to Visit. Close to the Volcanos, this City is mainly famous for the Talavera pottery from Puebla. 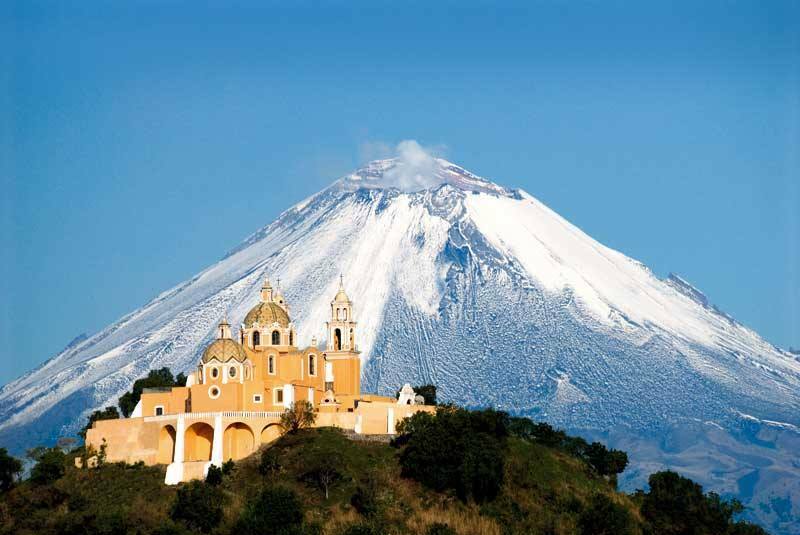 Besides the City itself, we will also visit Cholula and Tonanztintla. And then Oaxaca: A place to be discovered. One of the States with the highest number of Indigenous people. Fly PVR-MEX and drive to Puebla! 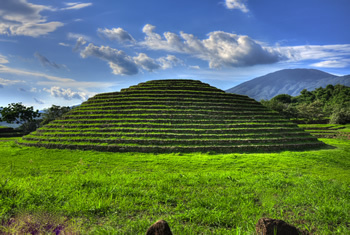 The largest pyramid of the Americas. 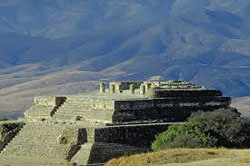 Monte Alban is Oaxaca’s most important Archaeological site. Colorful day with lots of activities. Passport and visa fees,tips, insurance, laundry, phone calls, meals not described below, alcoholic beverages, items of a personal nature, excess baggage, and/or optional excursions. At Superior Tours we will find for you the best possible rates for your flights Puerto Vallarta- Mexico City-Puerto Vallarta. Our group tour is guided in English. The individual packages are available in English, Spanish, Dutch and French. Group Tour size: minimum 8, maximum 14. The State Capital of Oaxaca, also named Oaxaca, owes its fame to the beauty and harmony of its architecture, the wide variety of its typical food and its soft temperate climate, spring like throughout the year. During this trip, you will be able to witness the city and the surrounding. Without a doubt the highlights of Oaxaca that we visit will be the Archaeological sites, the markets, Teotitlan del Valle (famous for the Oaxacan Rugs), the Mezcal and of course; the food! Flight Puerto Vallarta-Mexico City with interjet (flight not included but we will arrange it for you). At Mexico City´s airport your guide & driver will wait for you to drive you to Puebla (aprox. 3 hours). 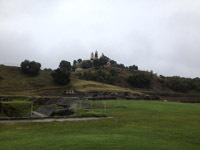 We start the day with visiting the largest pyramid of the Americas: Cholula. Not completely excavated, you can witness how the Spanish tried to destroy many Pre-Colombian sites. 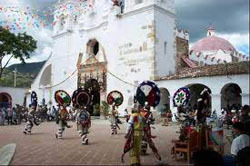 After this visit, we will give you some time in the village itself, before we hit to Tonanzintla, where you can see the perfect example of mixed Spanish-Indigenous architecture. We continue the day with a City Tour in Puebla. A beautiful ride across the Sierra Madre mountains will take us to Oaxaca. Upon arrival we will make a City Tour. The best way to get to know Oaxaca is on foot; our guided tour will take you to The Santo Domingo Museum and Church. The Santo Domingo Church was constructed during Colonial Times and finished in the year 1608. 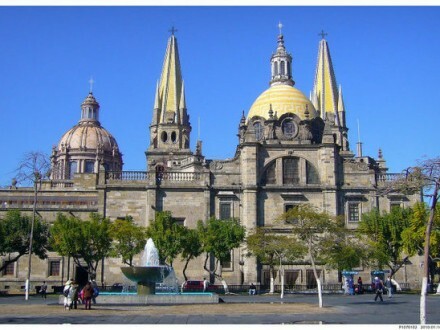 It is one of the best examples of the Mexican Baroque Architecture. The one-piece Wooden Altar is completely covered with gold, a must see! In the museum we will show you the most important pieces of the Zapotec and Mixtec cultures that have been found in the Archeological sites of the State. You can see here all treasures that have been found in Thumb number 7 in Monte Alban, so far the most important from the Zapotec Culture. After our visit of the Santo Domingo complex we continue over the Alcala with its many Colonial Buildings. We continue to the Zocalo and the markets. After breakfast we will drive to Monte Alban. Monte Alban is Oaxaca’s most important Archaeological site. On top of the hill, a perfect strategic place, the Zapotecas made it there marvelous Capitol, approx. 500BC. Today we will enjoy the view over the City, and we’ll give you all explanations of the History of the most important temples. We will see the remains of the Ball Game, a pre-Colombian ritual, as well as the temple of the “Dancers”, the palaces and the tombs. There is a small museum on site as well. We continue to the village of San Bartolome, famous for the Black claypottery. After the tour we will bring you back to the hotel, where you will enjoy the rest of the afternoon off. Again a colorful day with lots of activities. 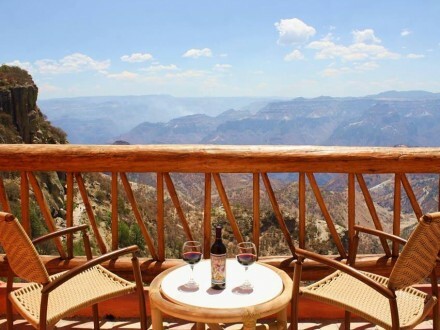 In the morning we will pick you up from the hotel and we’ll drive first to the famous Tule Tree. The tree is over 2000 years old, 40 meters high and has a perimeter of 52 meters (!). 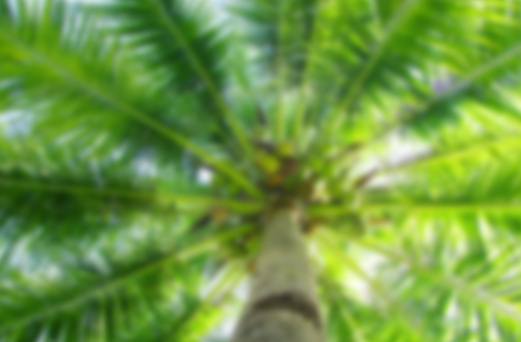 If we are lucky, some children of the villages will show you all kinds of figures in the tree. 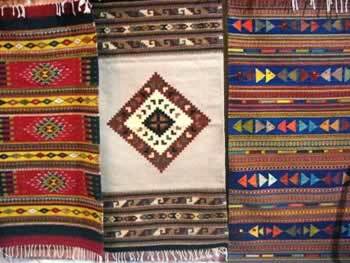 After El Tule we continue to Teotitlan del Valle, the most famous village for the Oaxacan Rugs. Buy them for the most incredible prices with the people that actually make them. 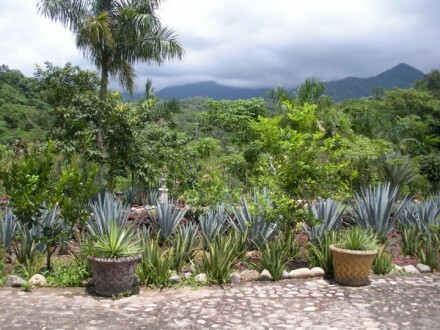 We continue to one of the most traditional Mezcal factories. Mezcal, made from the Agave Americana, is the most traditional and famous drink from Oaxaca. You might know the drink because in some mezcals you can find a worm in the bottle. You will be pleasantly surprised how many different flavours there are and how good they taste!! Like the Mexicans say: Para todo mal, Mezcal, y para todo bien, tambien!!”. (for everything bad, Mezcal, and for everything good, as well”). Then we continue to Mitla, “The place of the Death”, one of the sites with one of the most amazing kind of Architecture. See the remains of the buildings of the Mixtecs, the Zapotecs and the Spaniards in a small area together. 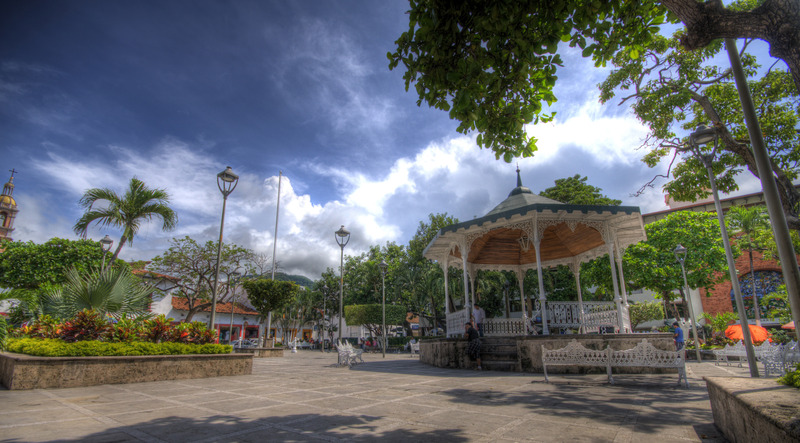 There is a nice little market here too, where you will have some free time to buy some souvenirs.